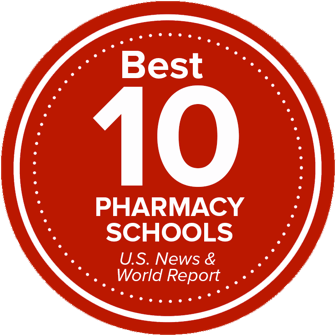 Introductory Pharmacy Practice Experiences (IPPE) occur in the first three years of the Doctor of Pharmacy curriculum. IPPEs provide the student pharmacist with an opportunity to practice the skills they are learning in the classroom while receiving direct feedback and coaching from pharmacists. Students are required to complete a community pharmacy experience during the spring semester of year one of the IPPE program. Students gain experience interacting with patients, counseling on over-the-counter and selecting common medications and engaging in the workflow processes of a community pharmacy. Additionally, students are able to use basic drug information skills and review applicable pharmacy laws with preceptors. During the second year, the experiential focus moves towards institutional health-system, where students observe and participate in activities that embody health-system pharmacy. P2 students complete a medication reconciliation rotation and an intensive experience at The Ohio State University Wexner Medical Center (OSUWMC). During the medication reconciliation rotation, students obtain complete medication lists from preceptor-identified patients, review these lists with a preceptor and engage in conversations about appropriateness of medication therapy and potential need for interventions. During the intensive rotation, students spend an entire week with an interprofessional team while completing pharmacy activities. P3 students are required to participate in a variety of activities including community, institutional health-system and elective patient care hours. The community rotation builds on the year one community experience with opportunities for advanced direct patient contact through point-of-care testing, health screenings, administration of immunizations and completion of Medication Therapy Management (MTM) reviews with preceptor oversight. Students practice patient education on drug delivery devices and the proper use of prescription and over-the-counter medications. In the institutional setting, students are assigned to medication reconciliation and medication safety clinical experiences. The elective patient care rotation allows students to complete rotations from an approved list of opportunities, which may include ambulatory care, night shift experiences and observation with specialized institutional health-system pharmacists. Students complete community health service experiences throughout their academic career that enable them to provide health related services to community members in need. Through community outreach, students become active, contributing citizens and community members through the services they provide. Students develop professionally while contributing to the health and wellness of underserved and culturally diverse populations.